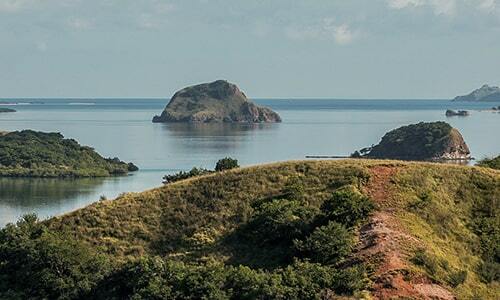 Rinca island is rough little island located just off the Western tip of Flores island in the East Nusa Tenggara. It is one of the few places to spot the Komodo Dragons in the wild. Rinca is less impact from tourism, so Rinca is more likely to see Komodo Dragons in their natural habits. The Komodo Dragons are the largest lizard on the earth, it can grow up to 10 feet. Komodo can chase down the prey, usually deers, buffalo with the speed 15 miles per hour. There are many more tour packages to Rinca island you can take. To see more details of the tour, you can visit Rinca island day tour from Labuan Bajo. What can you expect to see on Rinca? Rinca is a tiny fishing village on Komodo National Park. It is an undeveloped compared to Komodo island. The island is usually dry and hot, the dense forest will give the way to savannah grass. There is also some watering hole where the Komodo Dragons hunt the prey. According to BTPN, Komodo National Park Authority in 2018, there are living 1.049 Komodo Dragons on Rinca Island. While in Komodo island, there are living 1.727 of Komodo Dragons. And the others are found on Motang island and Nusa Kode. You will need to hike on the island to find the dragons. Keep in mind that Komodo is the wildlife, follow instruction from your Ranger. Komodo Dragons are not the only wildlife living on the island. There are also some of the wildlife such as wild pig, buffalo, bird species, deers and monkeys. Cobra snakes also have species on the island of Rinca. Most of the snakes are coming out at night or some swimming on the ocean.